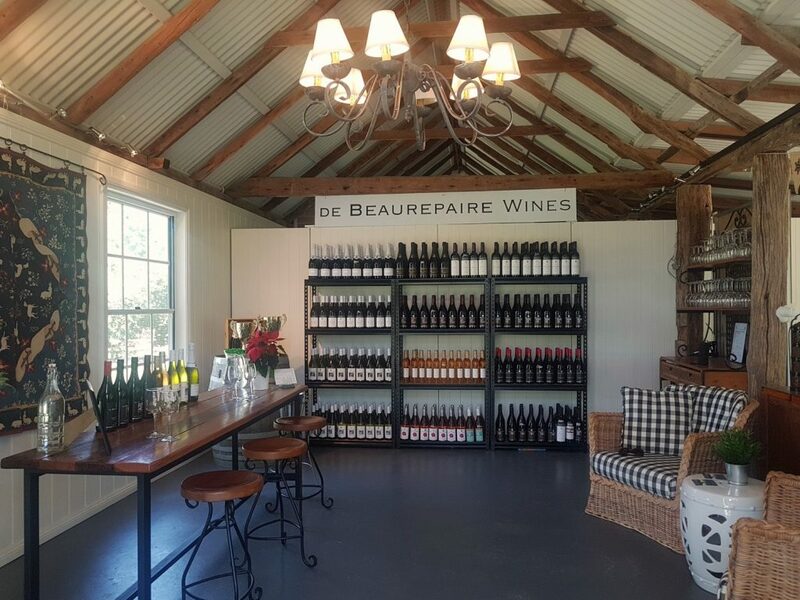 De Beaurepaire Wines is a family owned, single estate producer of multi-award winning, cool climate, French style wines only available in Australia’s best restaurants, premium hotels, iconic bars, and our cellar door. We were awarded Australian Wine of the Year for 2018 by Winestate Magazine, and were featured on Channel 9’s Getaway programme in 2018. Our 135 acre/53 hectare vineyard, one of the largest in NSW, covers a secret valley in the hills above the historic village of Rylstone, in the Central Ranges. As you drive down the driveway through a sea of vines to our cellar door you will feel like you have discovered a beautiful hideaway from the world. Our cellar door offers more than the traditional tasting experience. Our cellar door offers more than the traditional tasting experience. Located in a number of 170 year old buildings, family members take guests on a journey through our range, telling the story of each wine and exploring what makes them unique and sought after. With Sparkling, White, Rosé, Red and Dessert Wines on offer, you’re sure to find something that tickles your fancy. 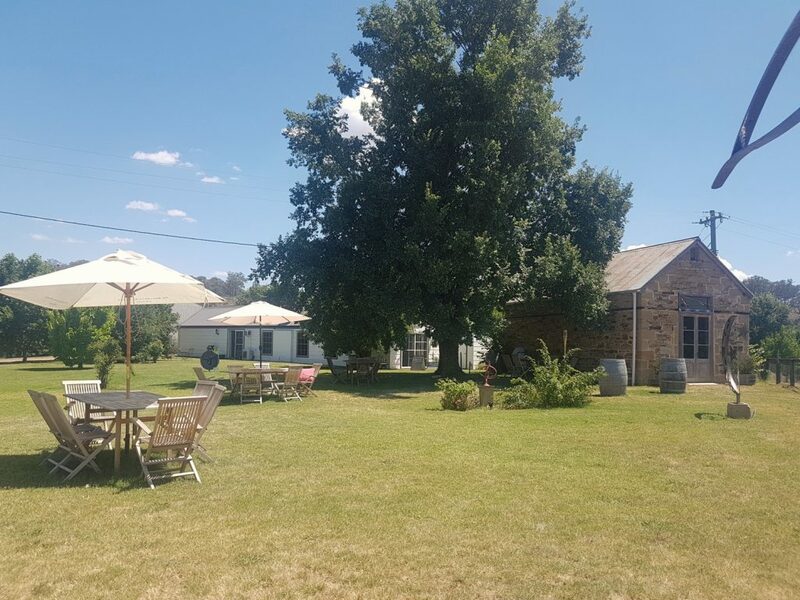 Then retire outside to enjoy a glass of your favourite wine with a grazing board whilst you soak up the beautiful views or play a game of croquet or boules. 45 minutes from Mudgee; 1 hour from Bathurst; 1.5 hours from Leura/Katoomba; 3 hours from Sydney. For directions, please click here. If you’re planning to visit as a group of 6 or more, bookings are required. Please contact us beforehand so we can arrange your visit in the best way for you to make the most of the experience. Please note that buses are not permitted on our property without prior approval. One of our cellar door buildings is named after “The Grafter” who won the 1898 Melbourne Cup, and is buried on the property. 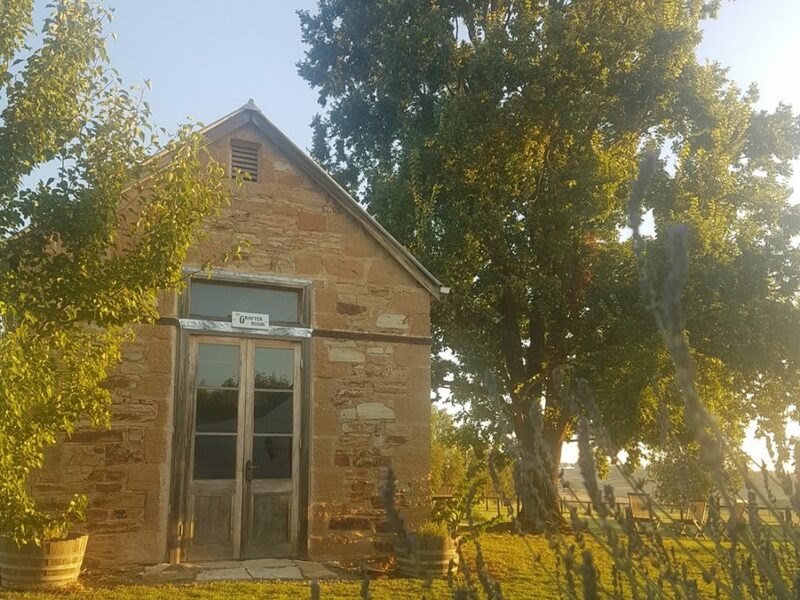 In 2000, we used local stonemasons to repair and re-purpose this beautiful 170 year old sandstone stable to become part of our cellar door. And if the rumours are true, you’ll be in good company…Harry Redford (immortalised as bushranger “Captain Starlight” in Robbery Under Arms by local magistrate Thomas Brown under the pseudonym Rolf Boldrewood) is said to have whiled away many a day and night on our property, which was owned by his brother, when his cattle rustling drew too much attention from the local constabulary.